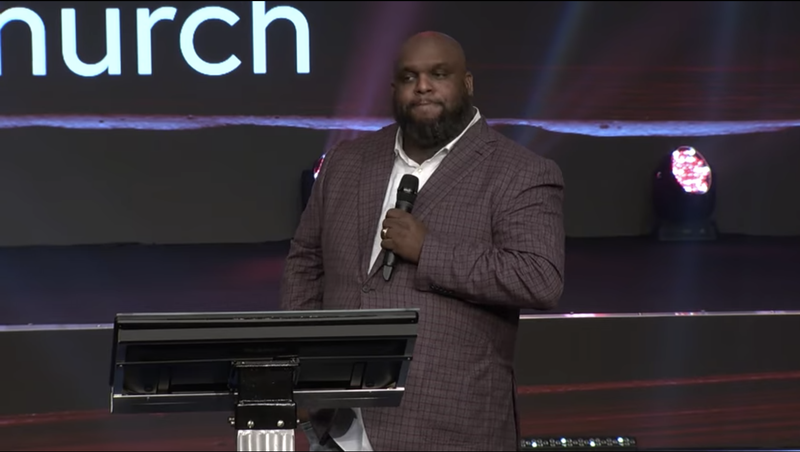 The relationship between black people and the black church is long, storied and full of the type of dysfunction usually reserved for immediate family. We were fed Christianity during the time of slavery, and since then the church has been both a beacon of hope and an institution of oppression for black people. Still, every Sunday, people get dressed up in their best clothes and take it to the altar for services that sometimes last upwards of three hours and usually end with the pastor asking everyone to reach into their pockets and give something for this ministry or the building fund and the Sunday School fund. Because, there is always a fund. I once went to a church service in North Carolina where they took up three different collections within the same service. I was amazed that the people who went to that church had enough to give three times in the same service, but I’m not here to count other people’s pockets. Tithing is as old as the church itself, and it is an expected custom no matter what type of church you attend or the color of the people attending. The church always needs something, and it is expected that the congregation will provide. He asked his congregation to hold off on putting money in the collection baskets until they felt the words he was saying in his sermon. He then called single fathers up, then widows and veterans, and explained that although his church is young and not financially secure, he was doing what the Lord told him to do. “These people don’t know what it took for me to do this. We are a six-month-old church with no savings account. We believe God every week but the Lord told me to do this because if I trust Him, whatever is left over would have to be enough,” he said, explaining that as God had blessed the church, the church would continue to bless those in need. “Just know as the Lord keeps blessing us, we’re going to do it more and more. We’re going to start buying cars for women who are catching the bus. We’re going to buy houses for people who’ve been renting. We’re going to have more than what we need and God’s going to raise up entrepreneurs and they’re going to have so much that they’re going to sow into the vision. And we won’t have to worry about offering. Offering will be extra,” he promised. Gray has made news before for controversial comments about single women wanting “to be married” but “walking in the spirit of ‘girlfriend.’” He was also one of many black pastors to meet with Donald Trump this year. It’s good to see him use his position to do some good.